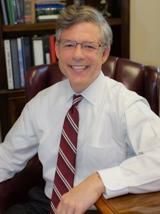 MoreAttorney Alan Fister grew up in Memphis, Tennessee. He achieved his undergraduate degree from Vanderbilt University, with honors. Mr. Fister graduated from Vanderbilt Law School in 1983 and passed the Georgia and Tennessee bar exams. His first year of law practice was located in Atlanta, Ga. The rest of his practice has been in middle Tennessee, primarily in Davidson and surrounding counties. Mr. Fister has had the benefit of being with large law firms, in house counsel, and owning his own...Attorney Alan Fister grew up in Memphis, Tennessee. He achieved his undergraduate degree from Vanderbilt University, with honors. Mr. Fister graduated from Vanderbilt Law School in 1983 and passed the Georgia and Tennessee bar exams. His first year of law practice was located in Atlanta, Ga. The rest of his practice has been in middle Tennessee, primarily in Davidson and surrounding counties. Mr. Fister has had the benefit of being with large law firms, in house counsel, and owning his own practice.